At HearCare Rhode Island, we respect the individuality of each patient and understand there is no one size fits all solution to hearing loss. With this in mind, we are proud to offer a variety of hearing aid brands from the leading manufacturers including Siemens, Oticon and Phonak. If you are new to the world of hearing aids and are researching information about the aids available to you, you’ve arrived at the right place. Below we will outline hearing aid styles, the hearing aid brands we offer as well as pricing for your point of reference. When you are ready to schedule a free hearing test, we invite you to contact our friendly team! Founded in 1847 in Berlin, Siemens is one of the world’s oldest manufacturers of hearing aids. 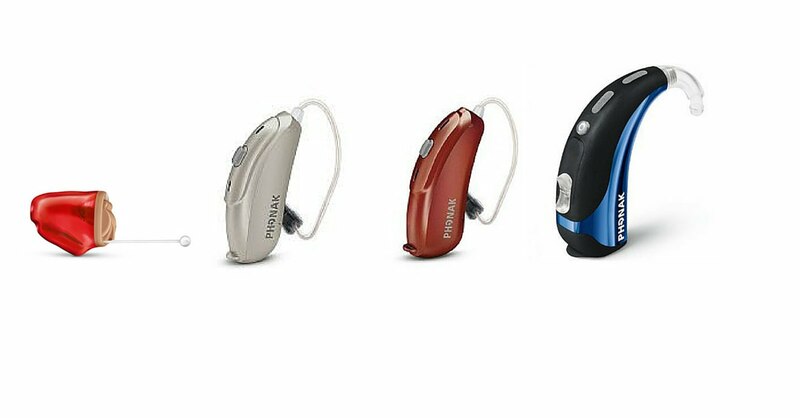 In 2014, Siemens introduced the binax, the first hearing aid to outperform normal hearing, which was awarded the Gold Edison Award in 2015. Also in 2015, Siemens was co-branded with Signia. Primax is Signia’s debut hearing aid, building upon the successes of the binax platform. Primax has been proven by independent studies to reduce listening effort throughout the day. With hearing loss, speech recognition becomes difficult, especially in situations loud with background noise. Primax offers SpeechMaster, a feature that uses a series of algorithms to give the wearer a clear and effortless listening experience. SpeechMaster is powered by three technologies: noise reduction, directionality, and steering amplification which allows the wearer to focus on specific speakers and elevates their voices above other sounds in the environment, whether it is quiet or loud. Primax also offers a High-Definition Music Listening feature, which offers Live Music (designed to handle a wider range of volume at a concert); Recorded Music; and Musician, for those who perform. Other features offered by Primax include EchoShield and TwinPhone, both which serve to provide clear sound signals for wearers. Other Siemens hearing aids include the binax, which is the world’s first hearing aid to outperform normal hearing in challenging noise situations. The binax mirrors binaural hearing and features a network of directional microphones to capture a full spectrum of sound. The Siemens Aquaris is a fully waterproof, dust proof hearing aid with excellent sound features – perfect for those with active lifestyles. 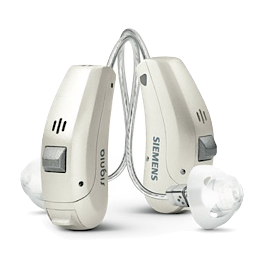 Siemens hearing aid models include behind-the-ear options (Motion, Nitro, Orion 2, Sirion 2, Intuis 2, Lotus and Aquaris); receiver-in-canal options (Ace, Pure, Carat, Orion); and in-the-ear options (Nitro, Orion 2, Sirion 2, Intuis 2, and Lotus). Tinnitus therapy is also available for select models. Oticon is a Danish hearing aid manufacturer founded in 1904, with the mission, “People first.” Oticon’s newest innovation is the Velox Processing Platform, a tiny processing chip that runs at an incredibly high speed. Wearers of Oticon hearing aids powered by Velox have reported 20% reduction in listening effort in noisy environments and 20% more capacity to remember in challenging noise situations (because the brain is freed up from struggling to make sense of audio signals). Oticon’s newest hearing aid, the OPN (pronounced “open”) is powered by Velox’s “open sound solution.” This gives wearers the experience of a full soundscape, even in the most challenging sound environments. Oticon hearing aid wearers are empowered to focus on the sounds they want to hear, while experiencing significant cognitive benefits. OPN offers the OpenSound Navigator feature, which scans the full 360 degrees of the wearer’s current listening environment 100 times a second. OpenSound Navigator allows for background noise to help situate wearers within their environment. Oticon reports, “Users can now follow the sounds they want to hear and shift attention when desired. Surrounding sounds are available, but not intrusive so users can focus on the sounds they want to hear, even in noisy situations. Phonak’s latest platform is Belong, which powers the new Audeo B-R. As a rechargeable hearing aid, the Audeo B-R offers 24 hours of hearing when fully charged – which is an excellent option for people who lead active lives. When used with a wireless connection, the Audeo B-R offers 80 minutes of streaming time. 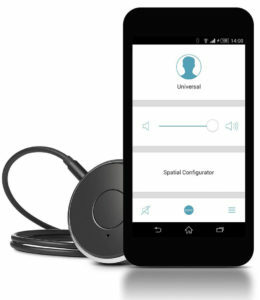 This allows wearers to stream phone calls, music, and other media directly from their smartphones or personal electronic devices directly to their Audeo B-R hearing aids. Wireless connectivity also ensures that wearer do not have to fumble with the small components of their hearing aids when they want to make adjustments. With this wireless connection, wearers experience a seamless and hands-free listening experience. Audeo B, as well as other Phonak hearing aids, are powered by the AutoSense Operating System (OS), which were created with the premise to simply wearers’ listening experience and making it effortless. AutoSense OS senses a wearer’s surroundings, and automatically adjusts the wearer’s hearing aids to provide the optimal listening experience tailored to each person’s specific experience. Other Phonak hearing aids include the 24/7 hearing aid Lyric, placed deep within the ear canal and does not need to be removed for up to 4 months. 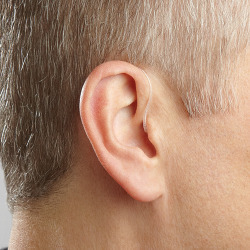 This invisible hearing aid provides uninterrupted listening. Phonak also offers models in a variety of styles: in-the-ear (ITE), receiver-in-canal (RIC), and behind-the-ear (BTE). ITE models include Virto V, Lyric, Tao Q, Virto Q, and Dalia. RIC models include Audeo V, Audeo Q, Naida, Q-RIC, and Sky Q RIC. 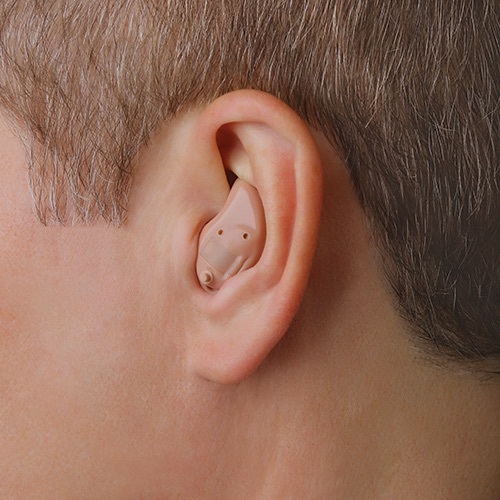 BTE models include: Bolero V, Sky Q, Bolero Q, and Naida Q.
ITE hearing aids are a bit smaller than CIC models, and can be custom ordered to match your skin tone. 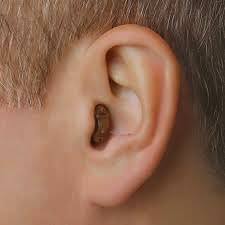 CIC hearing aids are customized to fit snugly inside your ear canal for ultimate discretion and amazing clarity. ITC hearing aids are slightly larger than CIC models, yet are still custom fit to the shape of your ear for comfort. ITE hearing aids are a bit larger than CIC models. 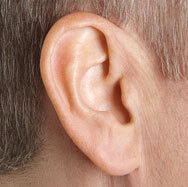 In-the-Ear hearing aids can be custom ordered to match your skin tone. 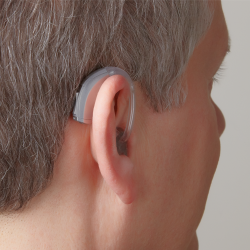 RIC hearing aids are a popular choice for hearing aid wearers due to their sleek design, versatility and dependability. BTE hearing aids are the largest wearing style and consequently offer the most power. They are great for those with severe hearing loss. hearing aid solutions from our leading manufacturers. The ComPilot is Phonak’s multi-purpose streamer that offers up to 24 hours of streaming time. With top quality streaming, ComPilot provides excellent stereo sound streaming from various sources, directly to your Phonak hearing aids. Audio sources include: cell phones, MP3 players, tablets, laptops, and computers. With Phonak’s TV Link accessory, you may turn your Phonak aids into wireless headphones. For extra amplification with speech, connect your Phonak aids to Roger X or Roger microphones to pick up sounds from a distance. For added ease, you may make simple adjustments to volume and program features on your ComPilot. For more advanced controls, ComPilot works with the Phonak RemoteControl app. Oticon offers a line of accessories called ConnectLine, which help connect your Oticon hearing aids to your TV, music players, and cell phones. Streamer Pro is at the heart of the ConnectLine series, providing you fast sound streaming from personal electronics and home entertainment systems. Streamer Pro does not delay audio information, which ensures that sounds and images are in sync for TV and films. With a long battery life and a compact, user friendly design, Streamer Pro is perfect for people on the go. Streamer Pro opens up a world of sound, from the movie theater to church to your next dining experience at a busy restaurant. easyTek is a small and discreet device (so small that it can be worn beneath your clothing!) that connects Siemens and Signia hearing aids to your various Bluetooth-enabled devices. 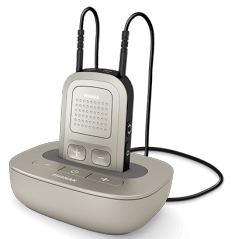 Audio from your TV, MP3 players, phones, and other sources are streamed directly to your Siemens/Signia hearing aids. Compatible hearing aids include Pure, Insio, Carat, and Motion. With sounds directly transmitted to your ears, easyTek provides a seamless listening experience. Wearers may control their listening experience through the easyTek app for iPhone or Android, adjusting features and volume levels, as well as zooming in on the voices you want to hear. Ready to make listening more convenient? 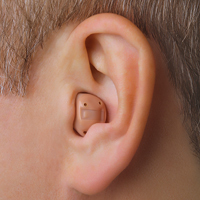 Contact us at Hear Care Rhode Island to learn more about these Bluetooth-friendly devices.